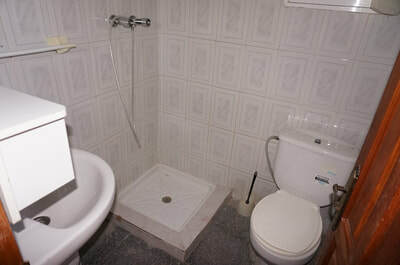 lanjaron cortijo country properties - HomesEspana Orgiva Property Real Estate Agent Inmobiliaria Since 2003 UA-39695354-1 HomesEspana Orgiva Real Estate Agent Inmobiliaria In Orgiva and lanjaron for Properties In The Alpujarras-Granada-Andalucia-Spain. 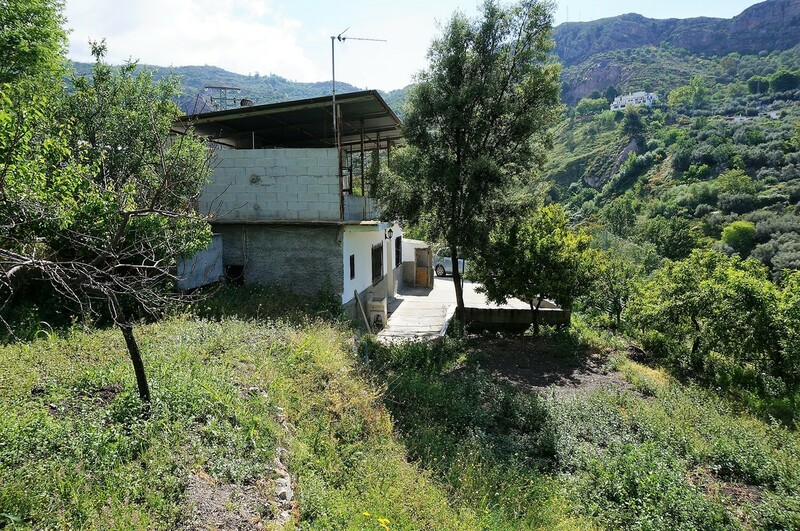 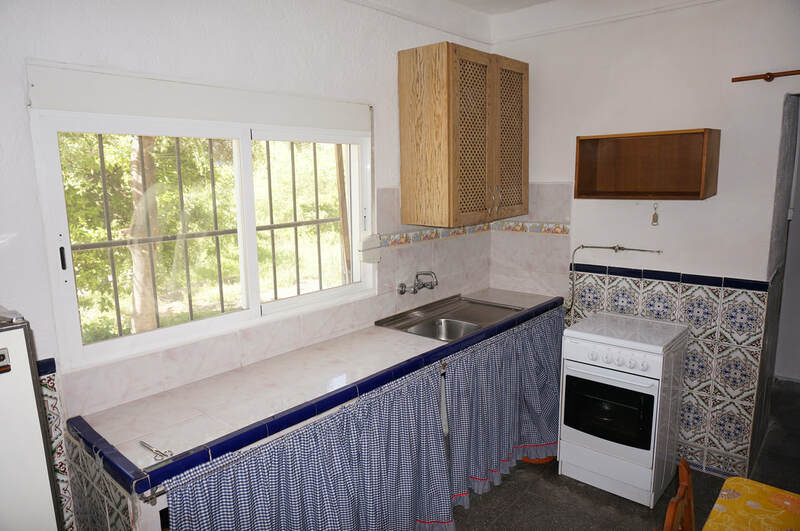 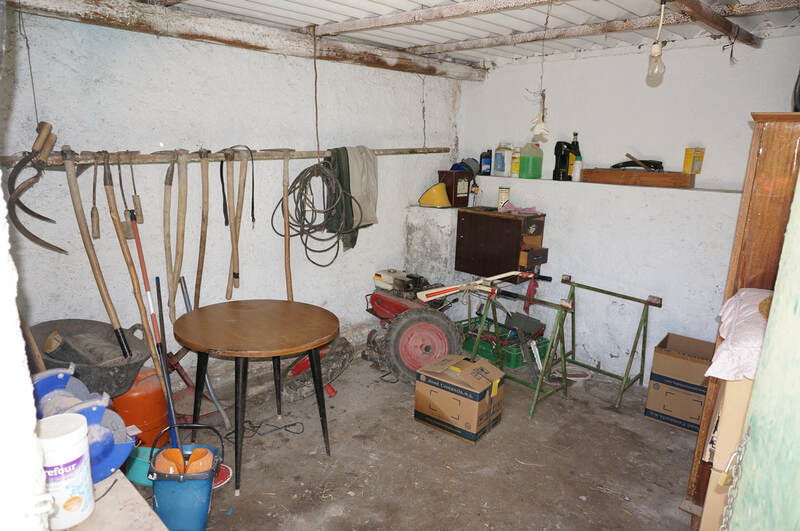 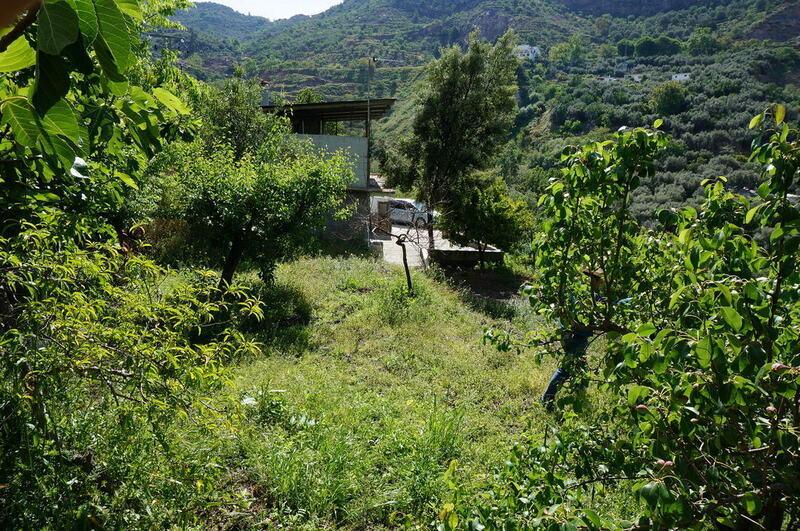 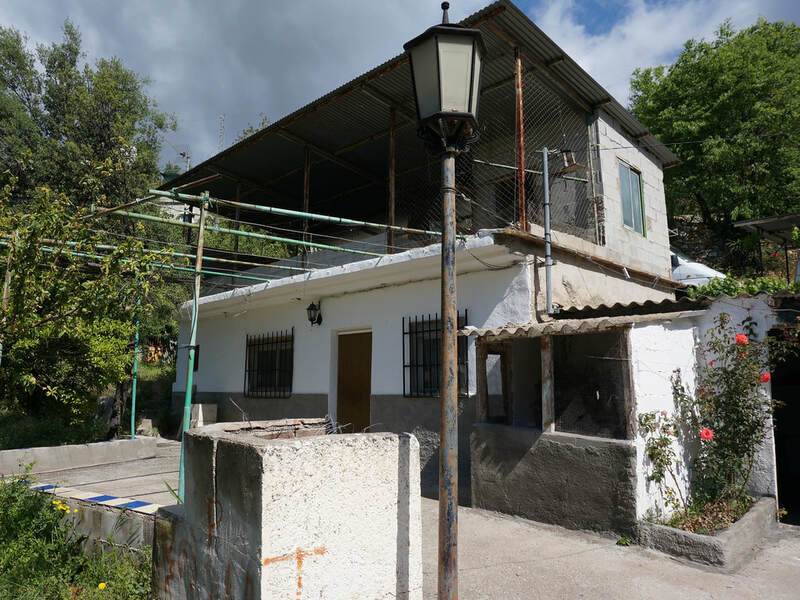 A two storey cortijo (with the upper storey unfinished) on a 2,000m2 plot of land, with good access, fine views, electricity and town water connected. 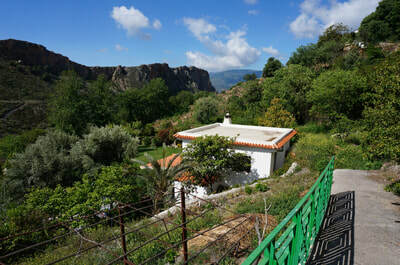 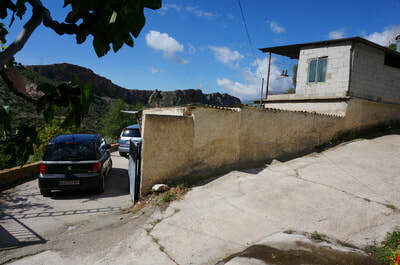 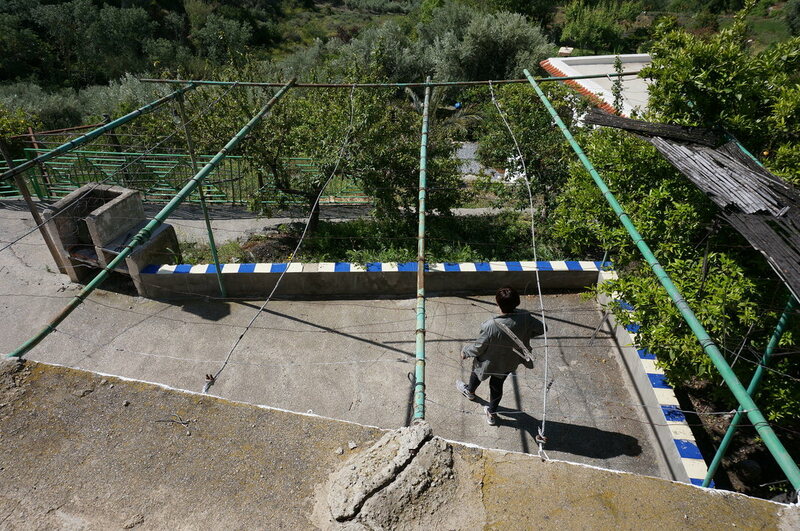 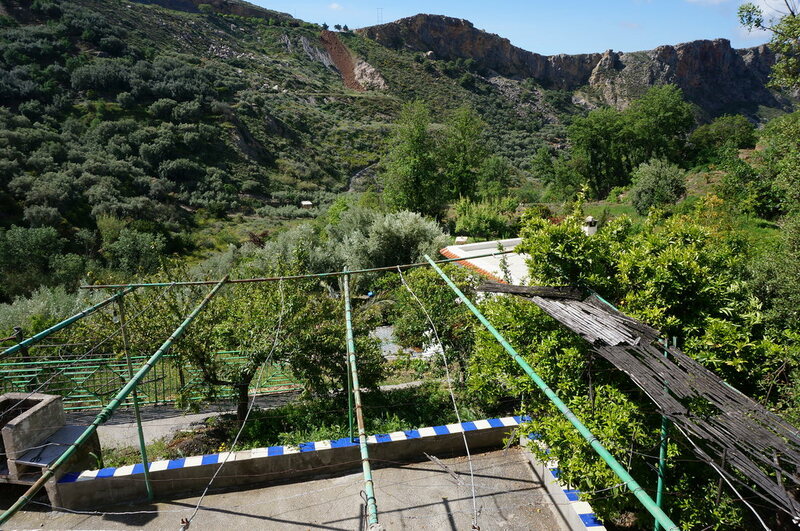 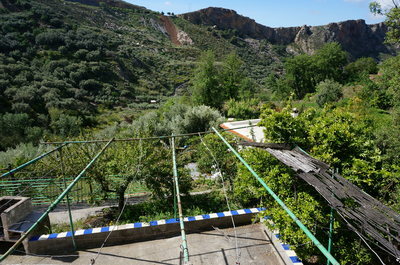 The property is located less than 1 km from Lanjarón and reached by a cement track, steep in parts. 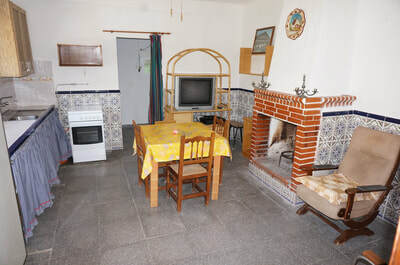 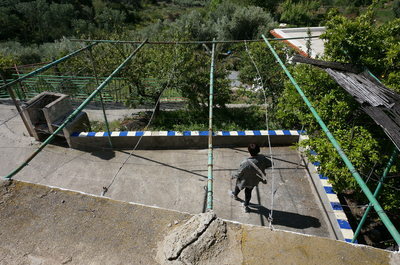 The footprint of the cortijo is 50 m2. 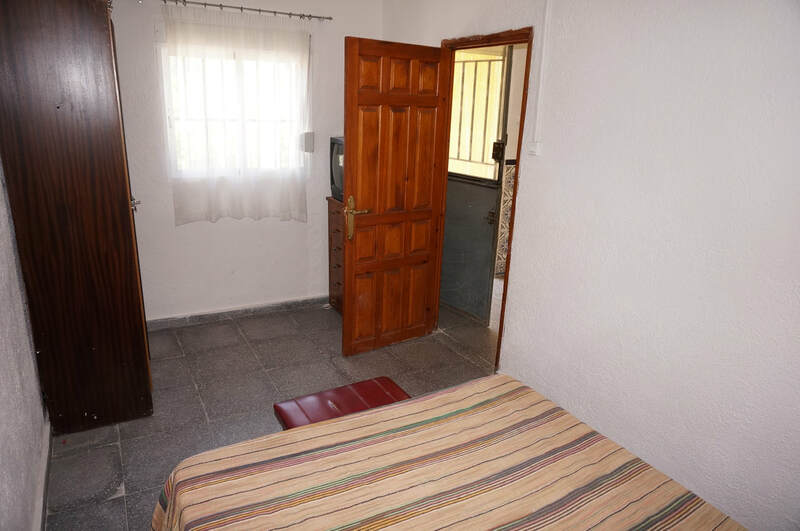 The ground floor consists of a living room, with open plan kitchen and fireplace, a bedroom, a shower room and a walk-in pantry/utility room. 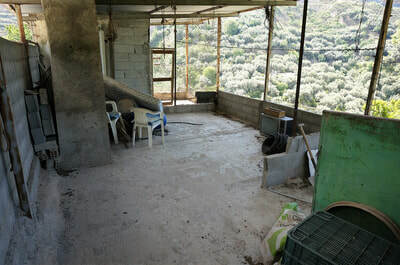 The upper storey is unfinished but could be used to double the living space available and make more bedrooms. 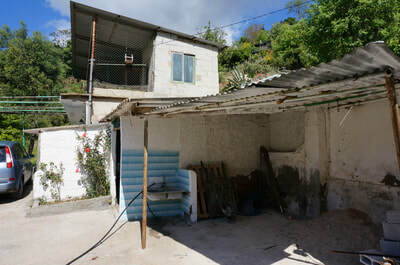 In front and to one side of the house is a cement patio, and to one side a store room, and to the other a small plunge pool. The land is terraced hillside land, planted with many types of fruit trees, and is south facing with fine views. 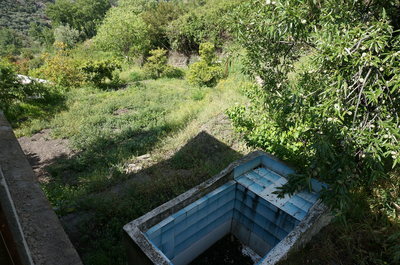 In addition to town water, the land has abundant irrigation water.